For a limited time, the U.S. Mint (www.usmint.gov) offers rolls and bags of the coins in circulating qualities from Denver, Philadelphia and San Francisco. It also offers proof and uncirculated qualities collectors enjoy. 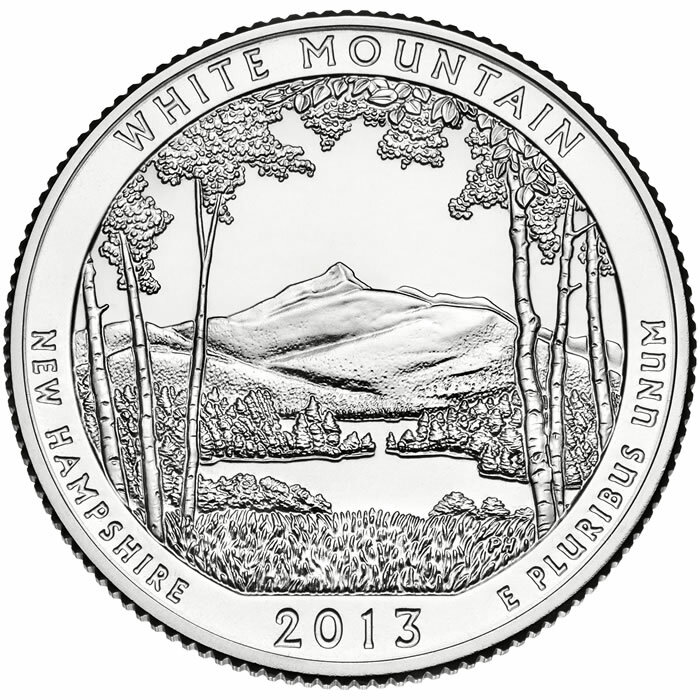 These latter offerings come within several U.S. Mint products that have release dates spread throughout 2013. White Mountain National Forest was established in 1918, and mostly lies in the state of New Hampshire, with a small portion found in Maine. It contains almost 800,000 acres of land and is one of the most visited national forests in the country as it is within driving distance of many of the major cities on the east coast. This national forest is also home to a 100 mile stretch of the Appalachian Trial, and offers other recreational activities like camping and skiing. With the multitude of activities, and its close location to over 60 million people it is no wonder why White Mountain National Forest has around 6 million visitors per year. Also located in White Mountain National Forest are five federally protected wilderness areas. These areas are protected from a majority of the logging and other commercial activities, but are still open for visitation and recreational use. Mount Washington, the highest peak north of the Smoky Mountains and east of the Mississippi, can also be found in White Mountain National Forest.